One of the most serious crimes one can face from the IRS is a charge of tax evasion. If convicted, a person can face a felony charge, large fines and prison time. 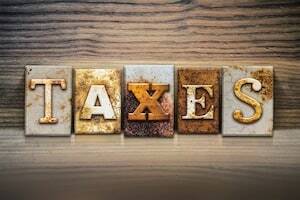 If you have been charged with tax evasion or are under criminal investigation for tax fraud, you do not want to face this predicament alone and you should know your rights under the law. Tax evasion is considered a form of tax fraud and refers to an intentional avoidance of paying your taxes. It is not a simple misunderstanding or carelessness when filing your tax return; it is a purposeful evasion of paying taxes through specific behaviors. Evidence that you intentionally provided false information, hid income or concealed assets to mislead the IRS can be used to compile a case against you for tax evasion. Tax evasion charges often begin with a tax audit. If there are indications that you owe a larger tax liability than you reported on your tax return and you have intentionally misled the IRS, you may be put under criminal investigation. Once this process begins, you need to know your rights and what you are required to provide to the IRS. As a taxpayer and U.S. citizen, you have rights under the law. If you are being investigated for tax fraud, sooner or later, you will be notified of the investigation. This notification may be your first indication that you are facing possible charges of tax fraud or tax evasion. At this point, you will want to contact an experienced IRS tax attorney that can help you prepare for possible charges. You have the right to legal representation and can choose to have your tax lawyer present during all interactions with the IRS investigators. During the criminal investigation process, you have rights as a defendant that can hinder or at least stall the case from going to a grand jury or to court. With the help of a criminal tax lawyer, you can pursue avenues to have your case seen by a district court judge, or request a conference with persons involved in the approval process before you are officially charged. If you know your rights under the law, many tax evasion charges can be stopped from ever going to trial or conviction. The most important right you have as a person accused of tax evasion is the right to legal counsel. 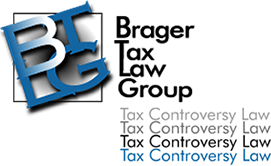 At Brager Tax Law Group, we have successfully represented many clients facing serious tax fraud or evasion charges and help them put these charges in their past. Call our offices at 1.800.380.8295 if you have been charged with tax evasion or are under criminal investigation. We can inform you of all your rights and help you fight these charges that could greatly impact the rest of your life.